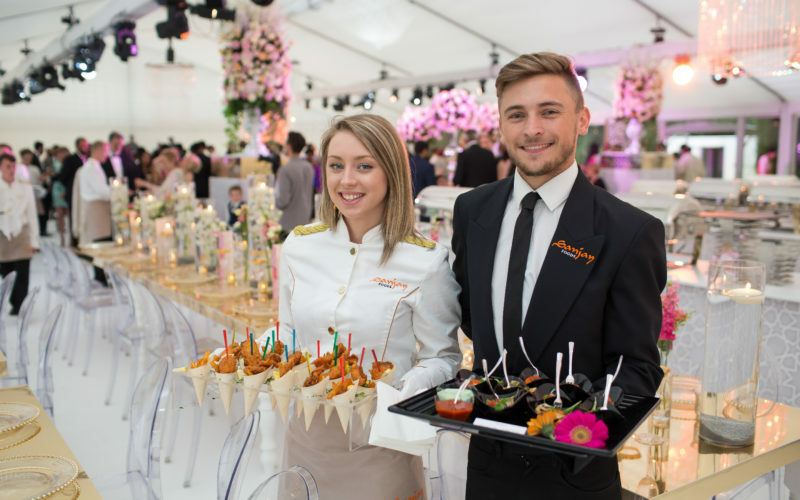 With our varied indian canapes catering options we are sure you will find something for everyone. We combine the perfect tastes and textures to offer a delicious and exciting choice. A canape is a small, decorative food which consists of a small piece of bread, a puff pastry or a cracker topped with some savoury food. It is a more sophisticated version of finger food enjoyed at parties. 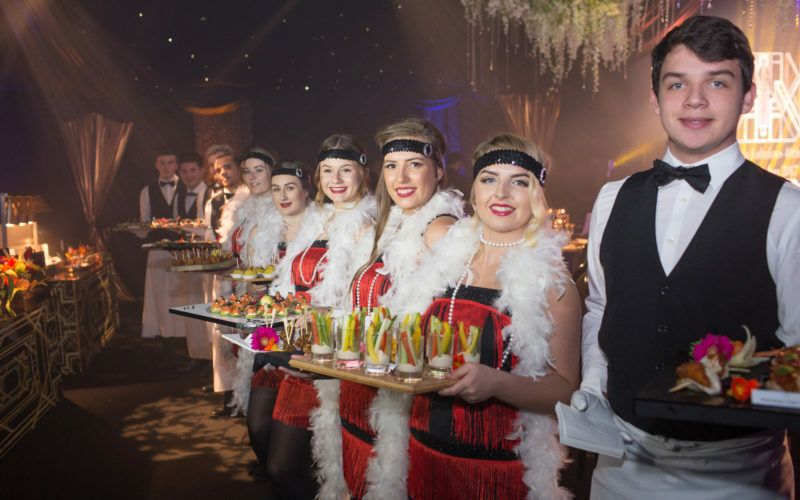 Canapes are served with drinks at cocktail receptions or formal parties and allow the guests to interact and mingle whilst enjoying a variety of food. We have a wonderful selection of delicious, flavorsome, bite-sized Canapes at Sanjay Foods and we pride ourselves in the presentation balanced with the detail and practicality of our selection. Our popular selection of Canapes includes the more traditional dishes including Aloo Papdi Chaat, Gol Guppa Shots, everyone’s favourite as well as Chilli Mogo, whilst our meat options include the likes of Seekh Kebabs and Lasooni Chicken Tikka. We also specialise in an extensive selection of European flavours such as Mushroom vol-au-vent and mini bruschettas. Puri stuffed with potato and black chick peas, served with a traditional spiced tamarind and fresh mint liquor. King prawns marinated in fresh pickled spiced, garlic and cooked to perfection.